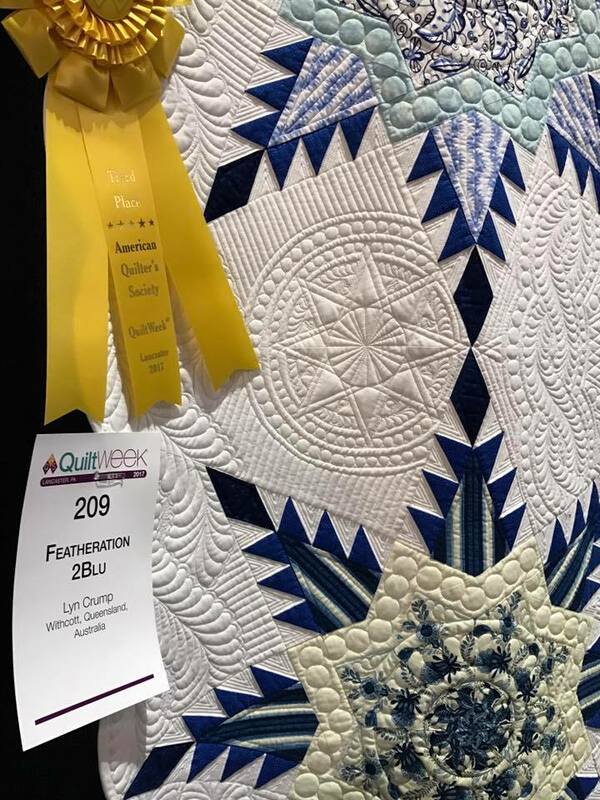 I made the decision mid November last year to honour my mother by entering "Featheration 2Blu" into two American Quilt Shows in 2017. I was elated to receive notification in January that she was accepted into her first show, so with much trepidation posted it to America. In mid March I heard that she was also accepted for her second show. 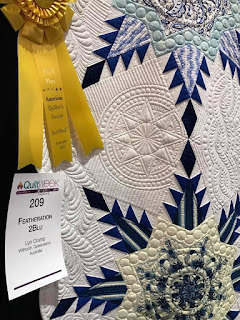 Winners of the first show were to be notified on the 29th March (US time) so it was quite a surprise to find an email that I was a winner at Lancaster Quilt Show when I woke on the 29th. I agonisingly thought I would need to wait until Midnight to find out what I had actually won. Thankfully I found out about 1pm. Not expecting anything a Third Place was much appreciated. 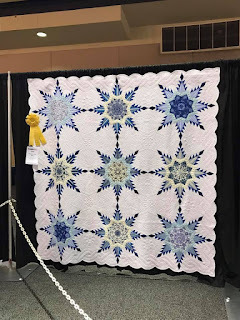 Since my husband and I did not take the trip to see my Quilt hanging in the US shows I had to wait until FB friends posted a photo of my quilt to see the ribbon. Knew there must have been a reason why I woke extremely early this morning. These photos came through at 2am. Congratulations Lyn,the quilt looks beautiful hanging with the ribbon on it.